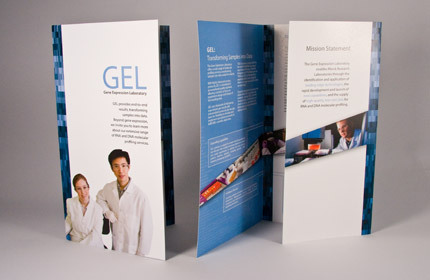 The Gene Expression Laboratory (of Merck & Co., Inc.) wanted to advertise their services and capabilities through a brochure. We decided to create a visual tour of how the Gene Expression Laboratory transforms samples into data. The entire production was handled by Pixel Theory. 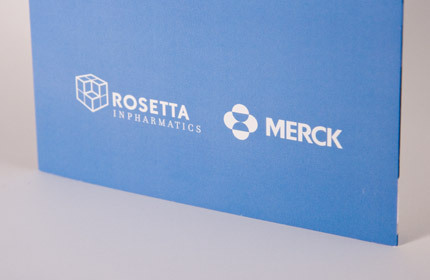 We created a tri-fold layout, gathered the appropriate images, wrote the copy, and specified the process and paper for printing 1,000 copies. 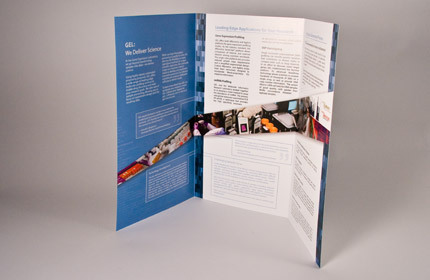 This brochure won Best of Show in the Art & Design category in the 2009-10 competition at the Puget Sound's Society for Technical Communication.